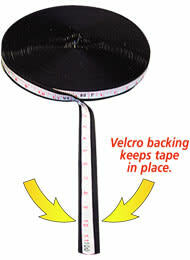 Tape Measure for Gymnastics Vault Runways. This Vault Runway Tape indicates the exact position on the runway. 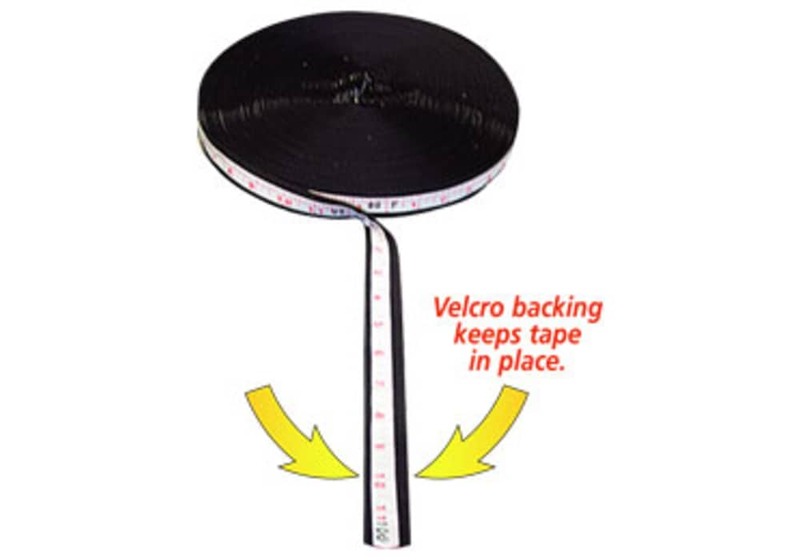 It attaches and detaches to carpeted gymnastics vault runways with hook (like Velcro) fastener backing, which keeps the tape in place. The distance is Indicated in both inch and foot gradations. 82' long x 1-1/2" wide. No more tripping on loose runway tape. This Vault Runway Tape indicates the exact position on the runway. It attaches and detaches to carpeted gymnastics vault runways with hook fastener backing, which keeps the tape in place. The distance is Indicated in both inch and foot gradations. 82' (25m) long x 1-1/2" wide. Indicates distance in both feet and inch gradations.